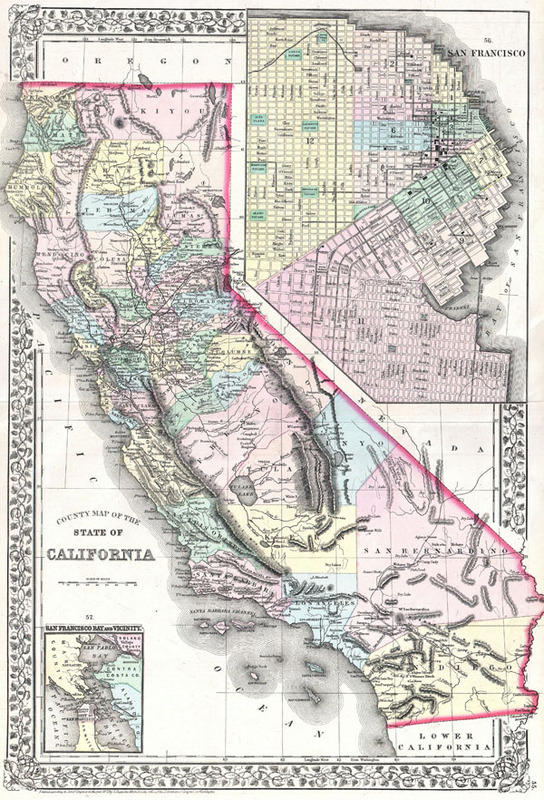 County Map of the State of California. Mitchell's new general atlas, containing maps of the various countries of the World, plans of cities, etc., (1872 edition). Rumsey 0586.050 (1880 edition), 2483.040 (1870 edition). Bancroft Library: G4360 1879 .M5 / G4360 1870 .M5.